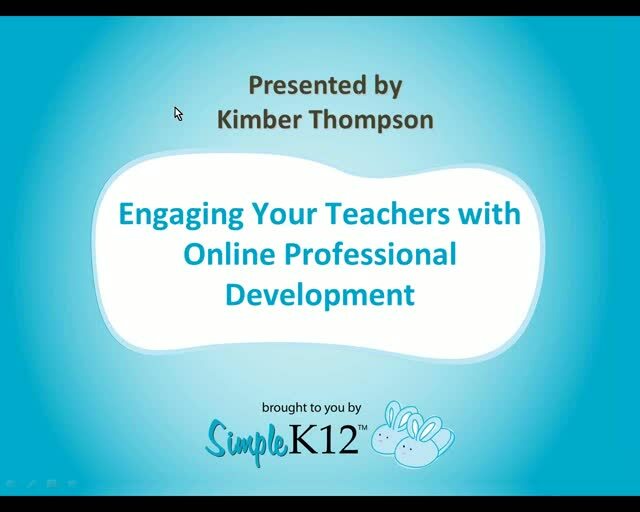 Are you considering different teacher professional development options? Have you been searching for a more affordable way to engage and educate your teachers throughout the entire year? Is your staff getting tired of the same-old-same-old PD? Do your teachers like to stay on top of the latest teaching techniques and strategies? If you answered yes to any of the above, this presentation is for you! This free webinar showcases how teachers around the globe are benefiting from online learning. Discover why expensive workshops and conferences are a thing of the past, and how online learning is actually more collaborative than face-to-face events. Nearly 500,000 teachers from around the world are already benefiting from online professional development... won't you join us? I am trying so hard to get my district to offer this to our teachers. 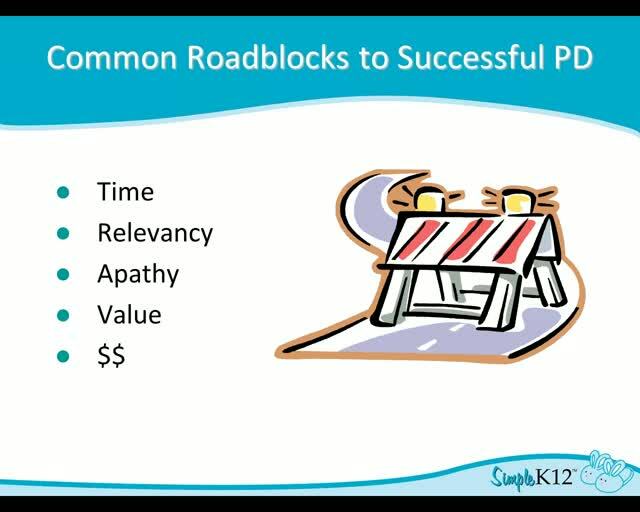 I love SimpleK12 and have learned sooooo much! 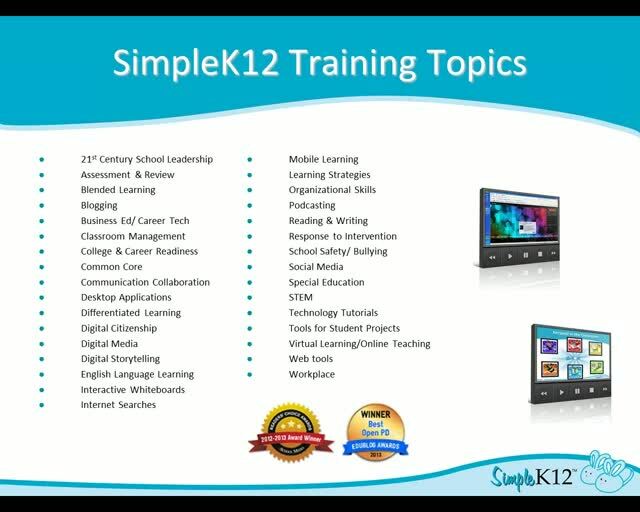 We have made a large move to on-line PD through SimpleK12 in our district. Thank you Kimber. 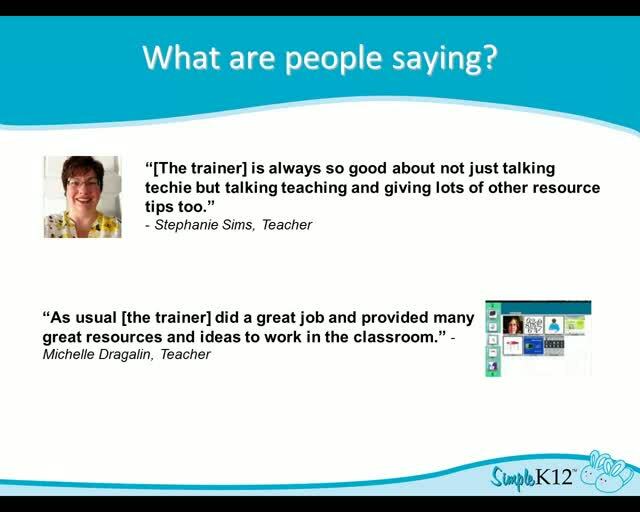 I really appreciate the simpleK12 learning community. Great professional development available 24/7. Excellent!! I really love all of the suggestions and ideas about providing PD to my teachers and staff.